Troy and Jon worked tirelessly all fall building curriculum for CHOOSE 180’s first-ever school diversion program, which is now offered at middle and high schools in the Highline School District. This new practice will be the earliest point at which we reach young people, with the goal of superseding any justice involvement by keeping youth in school with strong supports at difficult times in their lives. It is our dream to expand this model to other districts across the county and beyond; ultimately transforming school discipline through our trauma-informed, low-barrier, restorative approach. Launching CHOOSE 180’s first school-based diversion program has been a long process full of questions and daily challenges. Now the questions are answered, the anticipation is high and the waiting is almost over. Now it begins. Our new course is a five-week long program that will serve the Highline school district as an alternative to suspension and expulsions. We hope this partnership will change how school systems view and deal with disciplining their students. 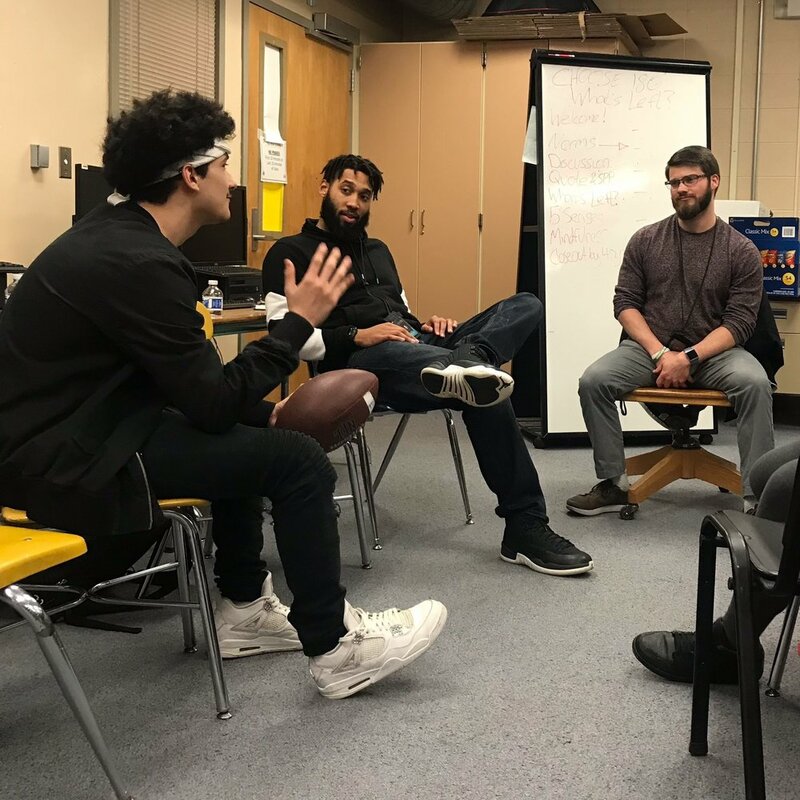 As of now, we are in direct partnership with Mount Rainier, Tyee, and Evergreen high schools, and Sylvester Middle School, with hopes to expand in the future. The CHOOSE 180 program takes our compass curriculum and expands it, giving students a deeper look toward their goals and future. The new program provides intensive individual sessions in which students meet with a CHOOSE 180 staff member and receive the focused, goal-setting work that is taught in our one day workshops. Students will develop a newfound focus on obtainable goals as well as build relationships with mentors. By offering this as an alternative to the usual disciplinary track that they have experienced in the past, we hope that students will build the skills and confidence needed for success. Following graduation from the five week program, the work continues throughout the rest of the school year. The mentor that has been connected to the student through CHOOSE 180 will continue the work that we have started, and in doing so help sustain the young person’s commitment to change. As we continue our work, we will see young people achieve their dreams as a result of their commitment to CHOOSE 180.